What is the Only Camera in the World that Can Mount to Every Type of Gun? Lewisville, TX – The Tachyon OPS line of cameras (OPS & OPS HD) are the only camera that can mount every type of gun. The OPS cameras, which fully integrate with the GunCam® mounts, are a gun owners dream and couldn’t be easier to use. They have a simple, one-button operation and are plug-and-play with a PC or a Mac. The GunCam® Picatinny mount allows the camera to securely attach to a gun’s Picatinny rail. Secure mounting at the 6, 9, 12 and 3 o’clock positions on the rails of many types of guns, or on the 6 o’clock position on pistols with rails. The camera can then be mounted facing to the front or back, giving a total of 8 directions. The camera stays out of the line of sight, offering a clear view of the target. The OPS and OPS HD cameras come with a patented 8-direction mounting system that provides a variety of mounting options. The OPS HD may be used for compact and full sized pistols such as the Glock, FNH, Sig Sauer, Beretta, Walter, Smith & Wesson, Ruger, Taurus, Kel-Tec, Kahr, Springfield, H&K and the Kimber 1911 with the rail. The OPS SD may be used for sub-compact pistols such as the Kel-Tec PF9, Taurus PT-145. With the Picatinny Rail Mount, the camera fits under any handgun, with access to the power button on the side. Also included in the GunCam® Bundle are the original mounts that come with the camera. There is the Contour Mount for mounting on the curved side of a helmet or curved surface. There is the Clip Mount for mounting onto the bill of a cap, onto the straps of goggles, and even onto a jacket. This mount has many degrees of rotation, allowing for filming from any of 8 positions. There is also the Tripod Mount for mounting onto a standard tripod or to any flat surface. 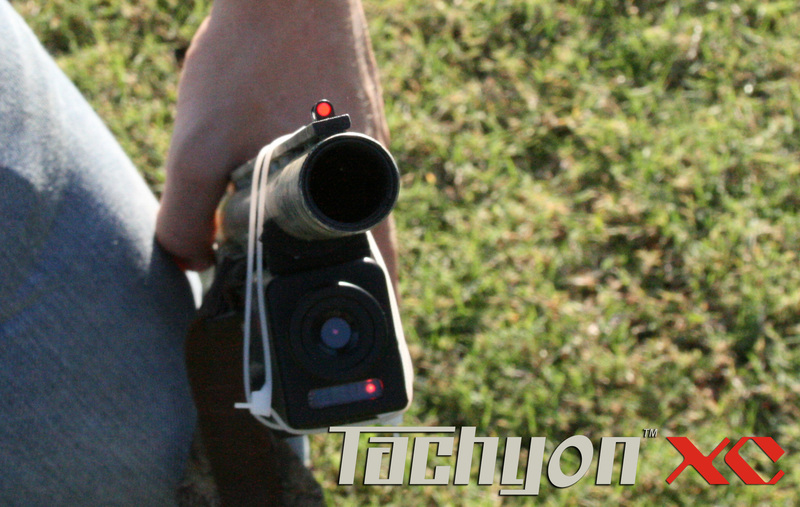 Tachyon has also developed a mountable infrared light for use with the OPS HD Night Vision infrared camera. The compact, 940nm Infrared Light can be mounted to helmets, caps, guns, and tripods in the same way as the camera. With the Tachyon IR light being an invisible 940nm, the officer’s location will not be given away when the light is in use. 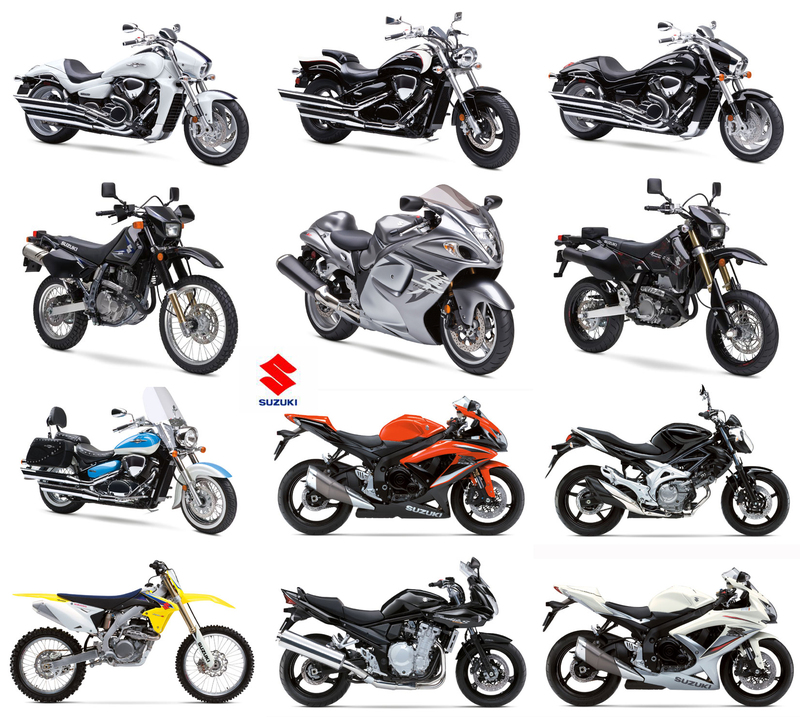 Tachyon offers many different firmware options to accommodate many different needs. There is the option of having an audible beep, no beep (for hunting), looping with or without beep, and the option of having the time and date stamp on the video, which is perfect for monitoring and evidence. The Tachyon OPS HD GunCam® is by far the best action camera for Paintball & Airsoft and is used at the world’s largest Paintball event, Oklahoma D-Day, and by the world famous Airsofter, Scoutthedoggie, The cameras are perfect for all sports such as Skiing, Snowboarding, Biking, Riding, Driving, Hunting, Flying, and RC. The HD GunCam® Bundle, at $199.99, includes everything from the OPS HD box, plus mounts for mounting to handguns, shotguns, rifles and caps for bow hunting. With this bundle, a person can get 4 and half hours of footage on a single charge. That is plenty of time to record that one hit or miss every hunter likes to brag about. The cameras use an internal, rechargeable battery, which can be easily recharged from any computer using the included USB charging cable. Tachyon invites police and military officials to check out the Tachyon 30 day test and evaluate program. Test the products on the job before deciding to purchase. Police T&E. 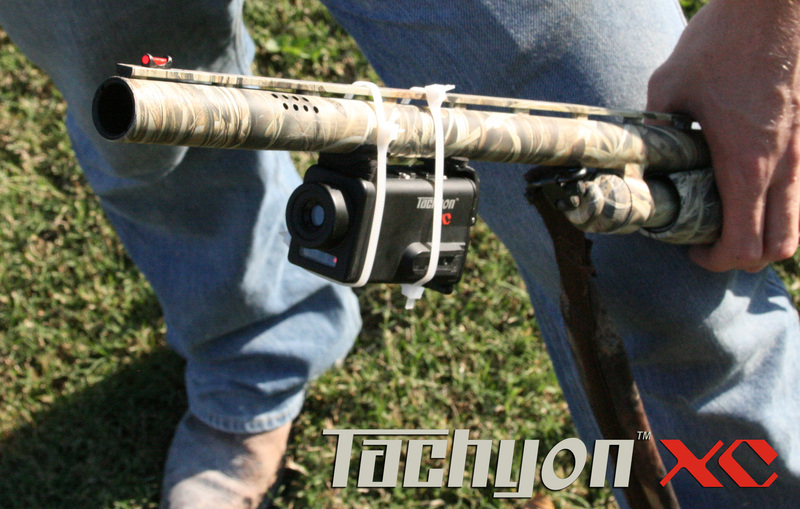 Tachyon Has Hunters In The Crosshairs This Fall With The OPS HD GunCam Bundle. 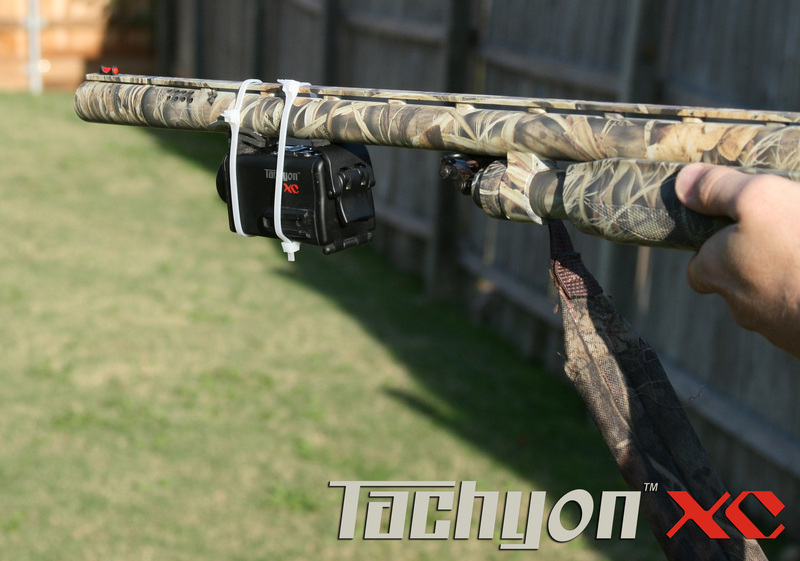 Dallas, TX – Tachyon, Inc. is reminding hunters to be prepared this hunting season with the Tachyon OPS HD GunCam Bundle. 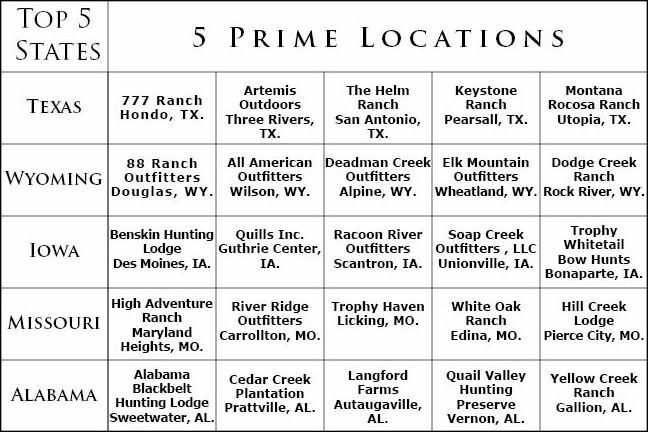 This package includes everything a hunter needs to make this year a memorable one, even if that “big one” gets away. Hunters can mount this lightweight, HD camera to their rifle, shotgun, scope, and even the bill of a cap. And with the silent operation, there is no danger of spooking any prey. 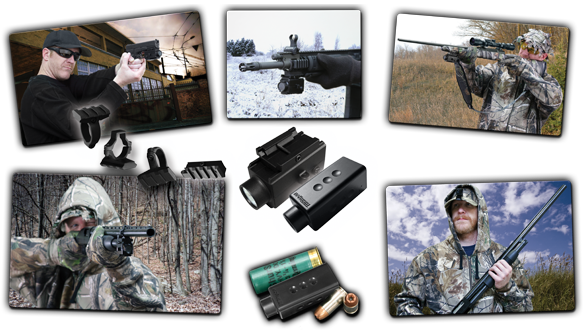 The GunCam, which retails for $199.99, includes all of the accessories needed to mount the gun camera to almost any gun. The camera itself weighs only 1.2 ounces and gets over four hours of recording on one charge of the internal, rechargeable battery. It records in clear HD and has a 125 degree field of vision. The camera has an easy-to-use, one-button operation, and a high-dynamic senor for extraordinary light sensitivity. With the included Rainproof cover, rain or snow are not an issue. The package comes with a variety of different mounting options. These include the Rifle Rail, Scope Rail, Shotgun Barrel Mount, and Shotgun Magazine Rail. There is also the Picatinny Rail Mount for mounting to anything with a Picatinny, or Weaver Rail, including pistols, handguns, and automatic rifles. Also included are the basic mounts for mounting on a contour surface, a tripod attachment, and the clip mount. The clip mount can easily be clipped onto a bill of a cap for easy access, which works perfectly for bow hunting. No matter what the situation calls for, the Tachyon GunCam Bundle has a solution. 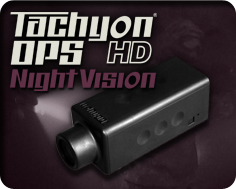 Tachyon, Inc. also has the OPS HD Night Vision camera. This camera is able to record in the dark with the use of an 850nm or 940nm infrared light. The OPS HD NV is perfect for filming from a deer stand. Just mount an infrared flood light and the camera will capture everything in the dark up to 30 feet away. Most IR lights can be powered by a 12V source, including a car battery. The Tachyon OPS HD and NV have the option of loading different firmware. These include silent mode, memory looping mode, and having the time and date stamped on the video. You can see more about the firmware options here . The cameras also have the option of recording time lapse photos, taking one photo every two seconds. This hunting season don’t just come back with the tall tales about the buck that got away, come back with video proof. The camera can also be used for many other activities year round including biking, skiing, flying and much, much more. Order one today here. Tachyon, Inc on the Loop’d network! Make sure and check us out on the Loop’d network. If you aren’t a member you need to be, Loop’d is a social network website for action sports competitors, enthusiasts and fans…check out our page out below!